PROSTAR® - PURPOSE BUILT FOR WORK: The RANGER CREW 570-6 ProStar 44 hp engine is purpose built, tuned and designed around the demands of a hard day’s work – resulting in an optimal balance of smooth, reliable power to help you get the job done. SMOOTH RIDING SUSPENSION: To ensure a smooth ride, the CREW 570-6 features a full 9” (22.9 cm) of suspension travel up front and 10” (25.4 cm) of Independent Rear Suspension travel. 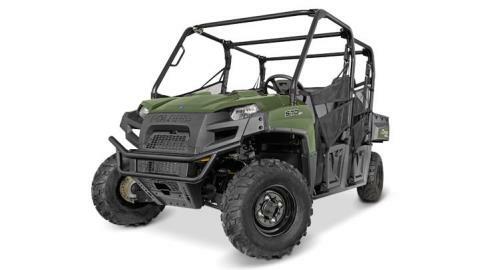 That is nearly an inch more rear travel than the Pioneer 700-4 and over 1 inch more on the front wheels. 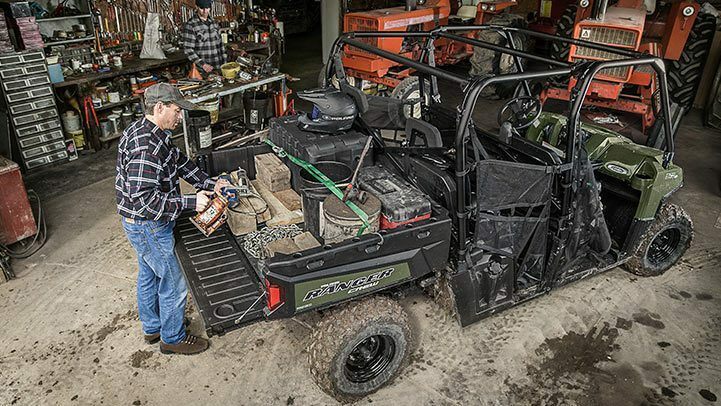 OUTSTANDING PAYLOAD AND TOWING CAPACITY: RANGER CREW 570-6 is strong enough to take on the biggest jobs. It boasts 1500 lbs. 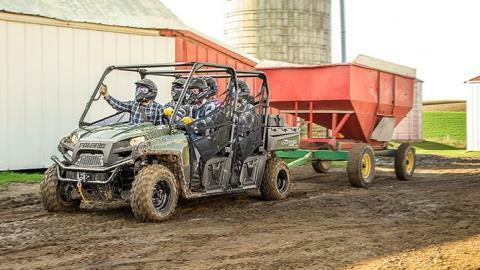 payload for hauling and can tow up to 1500 lbs. The Yamaha Viking VI has 15% less total payload leading to more trips for the same amount of work. 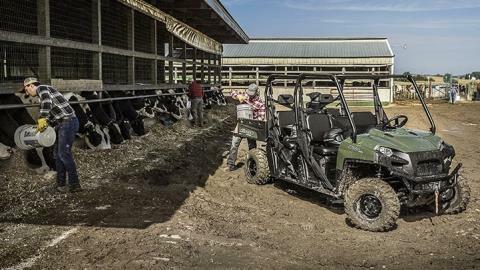 SEATING AND COMFORT FOR 6: Taking enough hands for a large task or enjoying a ride with your family, the CREW chassis gives cab comfort for 6. 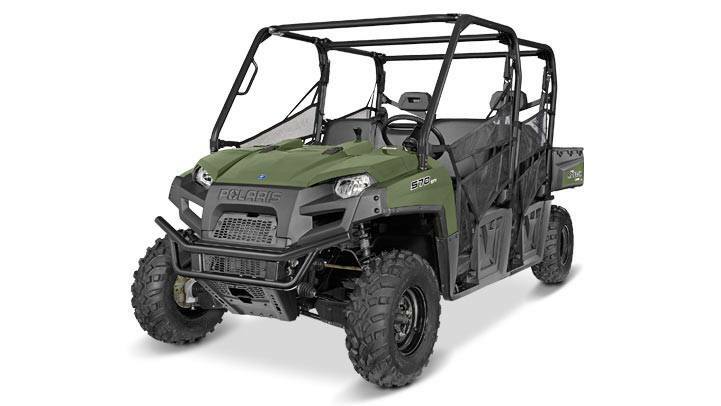 INDUSTRY LEADER IN UTILITY SXS: There is a reason RANGER® outsells the next closest competitor 4:1. 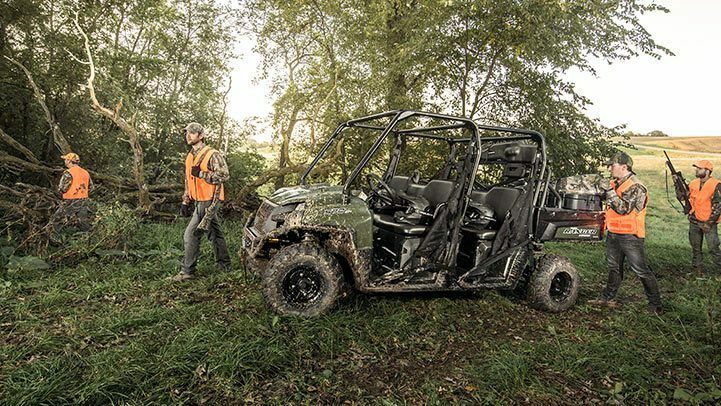 Every RANGER® we make is built on decades of industry-firsts and customer influenced design and quality that puts us ahead of the rest. DESIGNED TO GET MORE DONE: The CREW 570-6 is built to work. Not only does it have the power and payload for large tasks, it features details that make it a part of the family of Hardest Working utility vehicles. 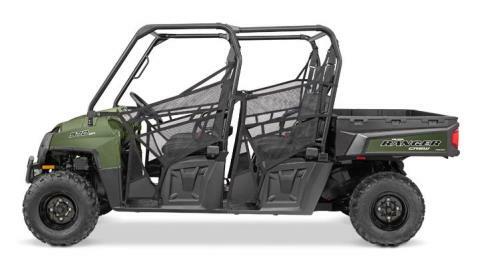 For example it has grease zerks to flush debris and adjustable suspension to maintain ground clearance with up to 800 lbs. in the bed. DURABLE CONSTRUCTION: Composite dump box won't rust or dent like a steel bed and the chassis' steel frame is built with high torsional stiffness for better handling and overall strength. BETTER UPFRONT PRICE AND MORE ECONOMICAL TO RUN: Outstanding fuel efficiency and the ability to work harder than the competition sets the RANGER CREW 570-6 apart as an outstanding utility vehicle value. 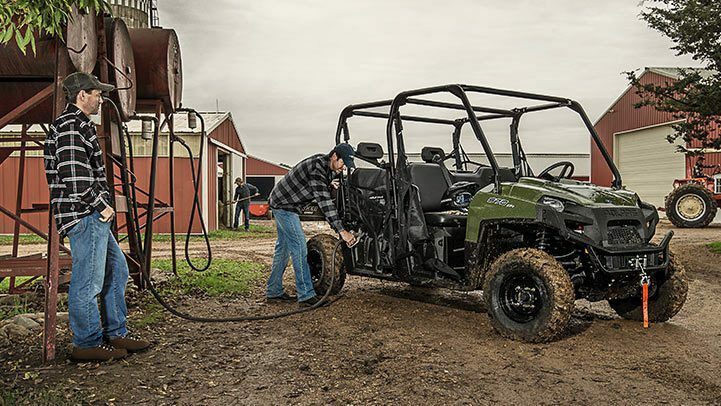 DESIGNED FOR EASY MAINTENANCE: RANGER is engineered to make maintenance quick and straightforward in your garage with easy to access service points for the oil filter, dipstick & drain plug. RANGER 570-6 GIVES YOU PREMIUM FEATURES COMPETITORS LEAVE OUT: 570-6 comes standard with features you won't get from our competitors. 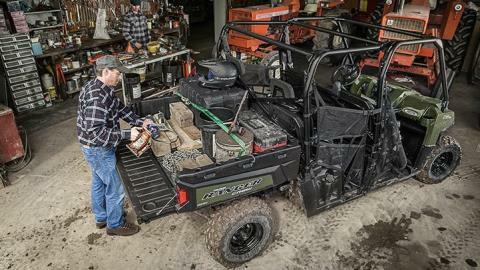 Work more comfortably with tilt steering, convenient storage options, and a gas assist dump box.